Ambient Weather WS-2000 or Davis Vantage Vue. 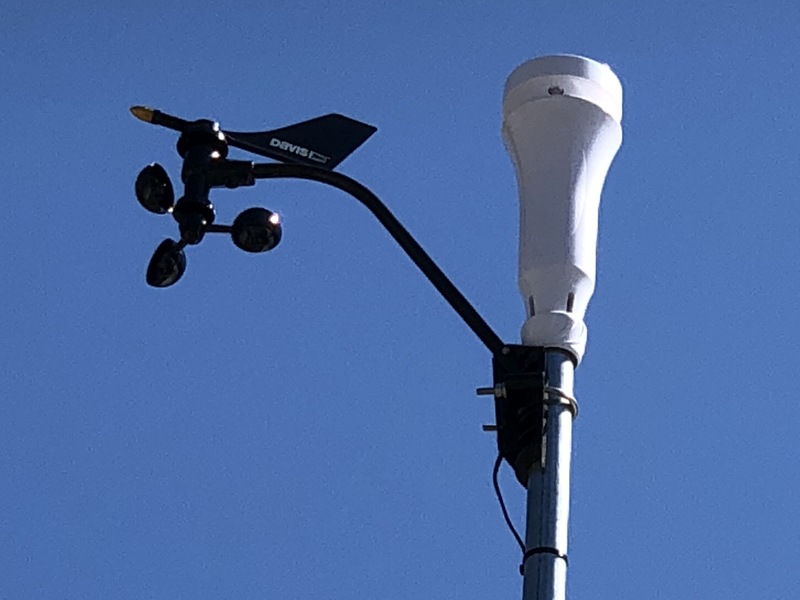 Topic: Ambient Weather WS-2000 or Davis Vantage Vue. Returning after sometime away. Looking at these two weather stations to get back into the hobby again. I'm familiar with Davis as having owned one of their stations before but not Ambient. Looking to stay around $300 for a system. I like Davis for quality and accuracy but kinda think their not keeping up with the times. Have to spend more to get your info out there. Ambient on the other hand has these services right out of the box it seems. The Ambient Weather WS-2000 seems to get good reviews just not sure as far as build quality and accuracy. Any advice would be appreciated. Re: Ambient Weather WS-2000 or Davis Vantage Vue. $300 will get you the basic Davis Vantage Vue sensor and console. You won't be able to get your data on the internet for that price. To get your data on the internet will require another $300 for Weatherlink IP (software and patch cord) and you'll need to run ethernet cable from Davis console to router. With Davis you'll have a first class sensor suite but a very primitive console and no internet. For about the same price you can get the Ambient WS-2000 kit that comes with everything you need to view your weather locally and publish your data to the internet. The Ambient console is also a WiFi hub to your router. The Ambient console is far superior to the very ancient Davis console. However the Ambient sensor suite isn't as robust as Davis's Vantage Vue. You need to pick your priorities. (Davis for sensor build quality or Ambient for console and internet connectivity) Davis also has a longer wireless transmission range from sensor to console. If you're around 100' you should be OK with either. If you're much over 100', Davis will be better. No need to pay $300 for a Davis IP logger, you can buy USB loggers for £50 from the UK, there are other sources too. Here are some other differences. To some these differences may matter more and to some less. Up to you. - The Davis Vantage Vue does not have solar radiation nor UV sensors. - The WS-2000 can be expanded with additional temperature and humidity sensors. 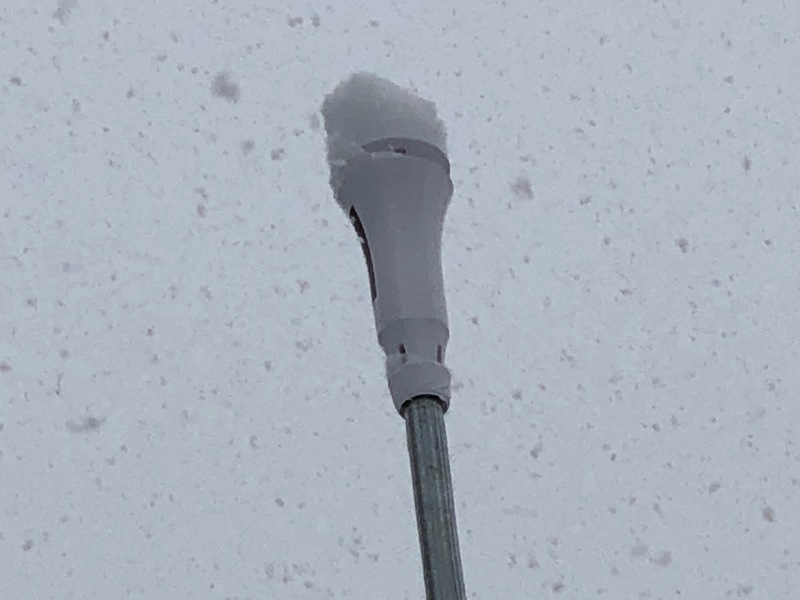 - The Davis Vantage Vue may fair better in snow climate because the wind vane is underneath and the anemometer has less underbody for snow to accumulate on. I could go on naming more pros and cons both ways. But it is impossible to name a clear winner. You'll need to make that decision based on what feature matters more to you that you can't be without. However the Ambient sensor suite isn't as robust as Davis's Vantage Vue. And would you or anyone else like to elaborate on the specific differences in the sensors from the two products? The more details the better, i.e., sensor industry part numbers (I design with these kinds of sensors). And perceptions or evidence about the accuracy of the Ambient compared to the Davis. The Davis outdoor sensor suite is commercial grade in build quality. The Ambient and Acurite outdoor sensors are more geared towards the general consumer market to keep the price down. I think just about everyone would agree that on average the Davis suite would likely last longer. The downside is when the Davis unit does fail, it's much more expensive to replace or have refurbished. You can buy 3 brand new Ambient Osprey sensors for what it costs to have one Davis VV refurbished. I'll let someone else comment on accuracy between the two. I believe the Sensirion temp/humidity sensor chip on the Davis VV and Ambient Osprey are nearly identical spec wise. Also don't forget that Davis claims a 1000' wireless range. (spread spectrum/frequency hopping). That's probably closer to 300' in the real world but that's still a much longer range then Ambient/Acurite. Bring the snow on, Mother Nature! What's the white thingy in the second picture? That hanging cup arrangement (have exact one in parts bin) can also get munged up with ice and snow. In your area do you notice quite an improvement? I suppose a hack could be done to the all-in-one configuration to elevate the cups to get separation from the snow collecting surface. This forum is awesome! Currently involved in two pseudo-realtime threads on wxforum today. I'm reading this very recent thread which is giving a good impression of what folks here mean by robust outdoor units and sensors: "What's wrong with Davis consoles?" in the Davis section. When I first registered with wxforum I did read a LOT of posts, but not so much about getting commercial gear. I have a WS-2000 mounted on a post about six feet off the ground in my yard. 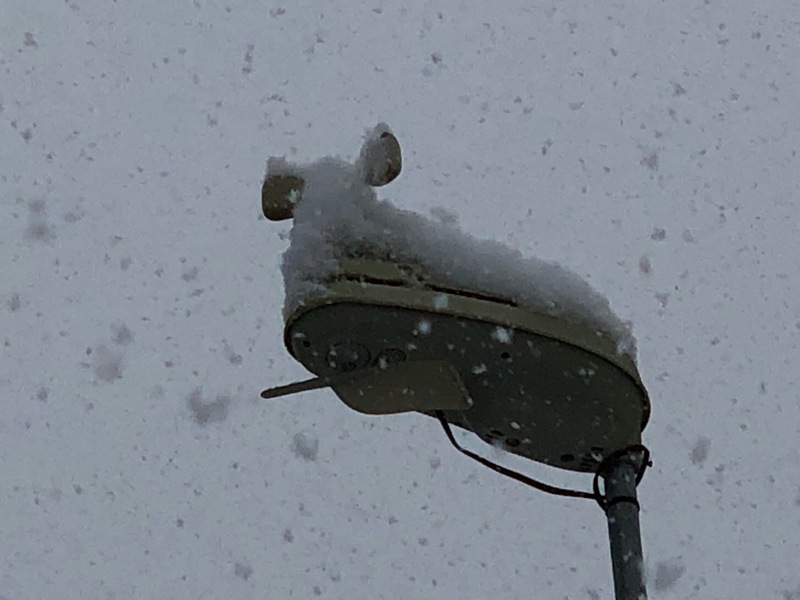 Our area has had two major snow events in the past month, each dumping about a foot of snow, as well as several smaller snowfalls of 3 inches or so. Also, we have had numerous days and nights of subzero temperatures, including lows the past three days of -27, -39, and -31 respectively, as well as others this month in the -10 to -25 range. The WS-2000 performed flawlessly through all of this weather. Yes, I did have to brush snow off the array, but winter weather has not hindered its operation insofar as I can tell. Having relatively easy access to the array is advantageous when brushing off snow, of course. There is a lot of winter left here, including more subzero temperatures this coming week, so I’ll see how it goes. But so far the WS-2000 is performing admirably in winter conditions. UPDATE/Jan. 27: At 2:35 this morning, with the temperature -28.8, the WS-2000 outdoor sensors stopped reporting but resumed at 5:30 a.m. with the temperature at -36.9. There were several shorter lapses earlier overnight, but now everything seems OK. The extreme cold may be starting to affect the WS-2000’s performance. I have a RainWise MK-111 mounted a few feet away from the Ambient, and it has had no gaps in reporting.